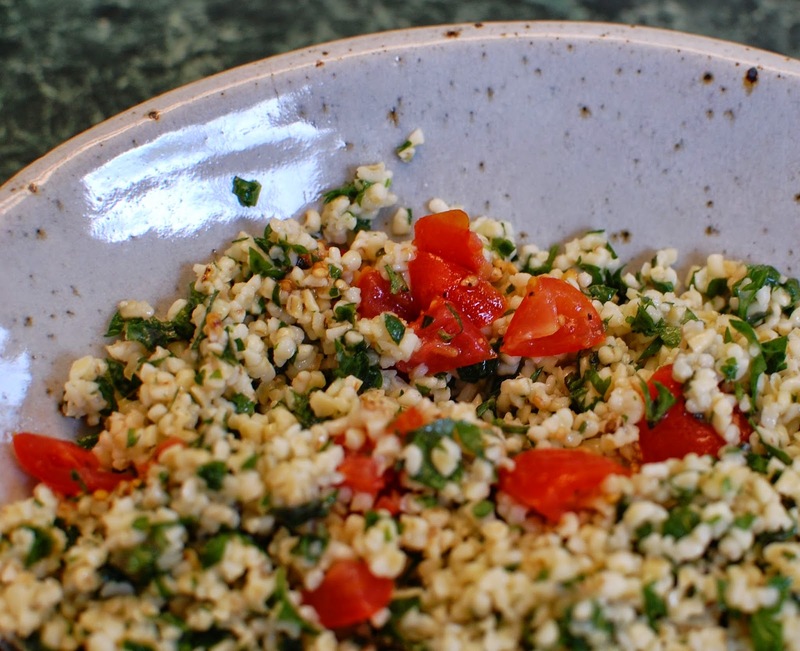 Terrific Tabbouleh Salad | We Like to Cook! We have been making a concentrated effort to eat healthier foods and more beneficial grains. Bulgur wheat often gets a bad rap as being tasteless and gravelly, but when properly hydrated and dressed, it can be spectacular. We absolutely adore this salad especially when the garden is exploding with fresh tomatoes, cucumbers and fresh herbs. We like to use scallions instead of onions for their milder flavor. Tabbouleh makes a wonderful addition to traditional Middle Eastern grilled lamb with tzatziki sauce and warm naan. Place the bulgur wheat in a large mixing bowl. Bring the water to a boil, add salt and stir to dissolve. Pour the salt water over the bulgur and let it sit for 30 minutes, or until all of the water is absorbed. The wheat kernels will double in size and get lighter. 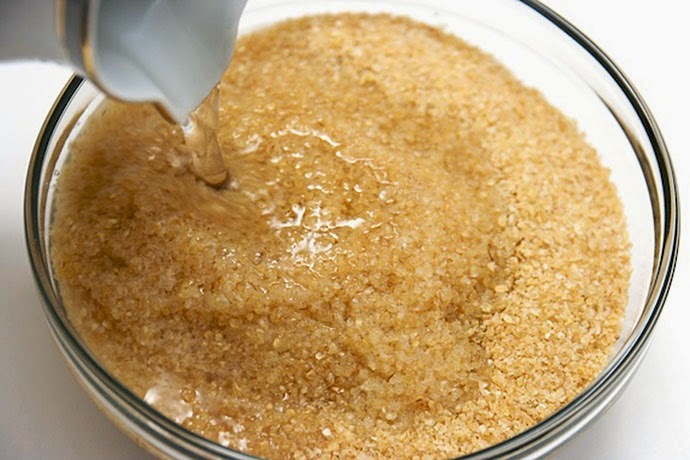 While the bulgur is soaking, mix lemon juice and olive oil in a small bowl and add the garlic and whisk together. Pour the dressing over the bulgur and stir to fully coat. Add in the scallions, tomatoes, cucumbers, parsley, and mint. Stir until fully combined. Season with salt and pepper, to taste and refrigerate to chill until ready to serve. The tabbouleh salad will keep in the refrigerator for several days.